Photo credit: www.globalforestwatch.ca. 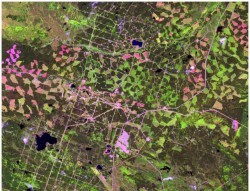 Example of forest landscape fragmentation in grizzly bear habitat, Foothills Natural Region, Alberta (Landsat ETM+ Path 44/Row 22, 2001). WE live in a human-dominated world. For many of our fellow creatures, this means a fragmented world, as human conduits to friends, family, and resources sever corridors that link the natural world. Our expanding web of highways, cities, and intensive agriculture traps many animals and plants in islands and cul-de-sacs of habitat, held back by barriers of geography or architecture from reaching mates, food, and wider resources. 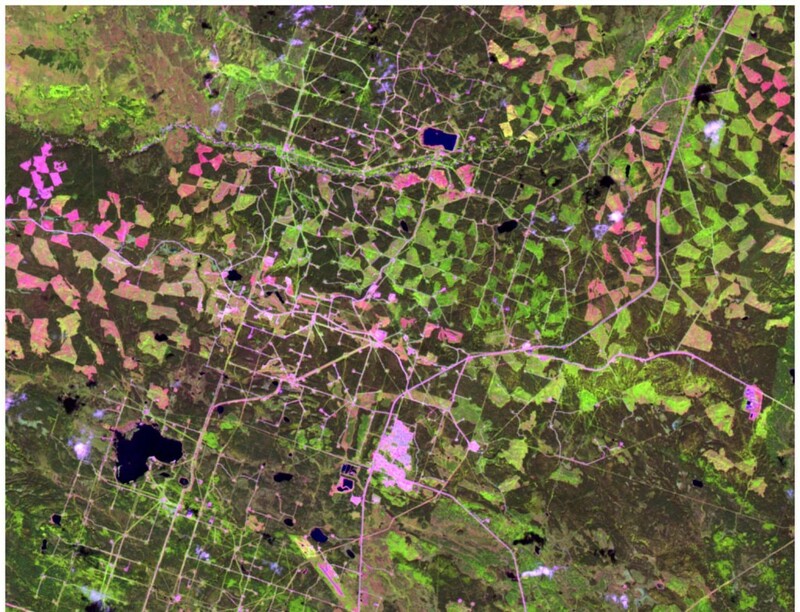 A team of researchers, managers, and ecological risk assessors review the current state-of-the-art in landscape connectivity planning, offering models, case studies, and advice for coping with the uncertainty inherent in dynamic, real-world conditions in the Ecological Society of America’s 16th volume of Issues in Ecology. Photo credit: Connectivity models can be combined with least-cost or circuit theory economic models to help conservators make decisions about investment in land acquisition. From figure 5 of the report. 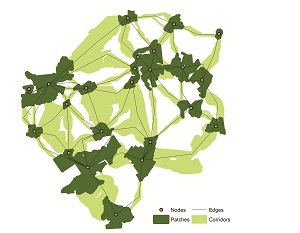 Connections can be conduits, or more complex extensions of habitat, looking more like a web than a greenbelt. Coastal inhabitants need the depth of the reach of tides as well as the horizontal reach of coastline habitat. Birds may be able to hop from preserve to pea-patch to backyard oasis, depending on their range and flexibility. The need to move is most obvious for migratory animals and the large animals that need big tracts of territory. Most of us are aware of large and charismatic animals like deer, bear, or coyotes. But plants, and smaller, less itinerant animals, also benefit from connections to wider spaces. “Landscape connectivity is as diverse as the animals that live in it,” said lead author Deborah Rudnick, an environmental scientist with Integral Consulting Inc, in Seattle, WA. On the ground, managers need to address the biology of their focal species, understanding behavior, genetics, adaptation, and habitat. They have to scale up observational and experimental data to predict interactions with other wildlife and physical features of the landscape, layering on the possibility of climate changing, waterways shifting, and human life encroaching. “It’s a massive amount of info to keep in your head simultaneously. I want people to step away from this review with a sense of that complexity,” said Rudnick. Photo credit: Adam Ford/Highway Wilding. 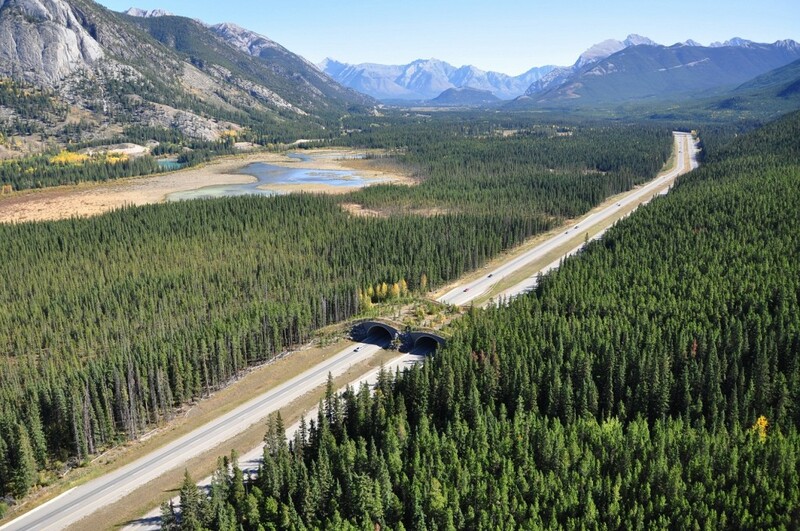 A wildlife overpass on the Trans-Canada Highway helps wildlife and vehicles avoid lethal connections in Banff National Park, British Columbia. 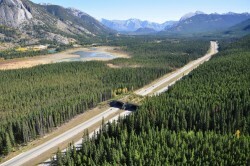 The Park is a leader in highway mitigation, part of a 30-year-old initiative that has installed 44 crossing structures. Opening corridors can sometimes aid the flow of invasive species and disease, as well as the species at the heart of conservation planning. All management plans involve trade-offs—whether that means obtaining the best versus the most available land, or favoring a single endangered species at the possible expense of others in its ecological community. Some planners prefer to focus on preserving ecosystem services, rather than specific species, in an effort to preserve an ecological community more holistically. But there is no perfect solution. Unpredictable future conditions are unavoidable complications to conservation efforts, and climate change in particular could throw a ringer into the best laid plans. “We are no longer living in a world where we can preserve perfect habitat,” said Ryan. Photo credit: Nova Simpson/University of Nevada, Reno. 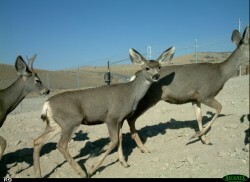 Mule deer approach an overpass at 10 Mile Summit on U.S. Highway 93 in Nevada. 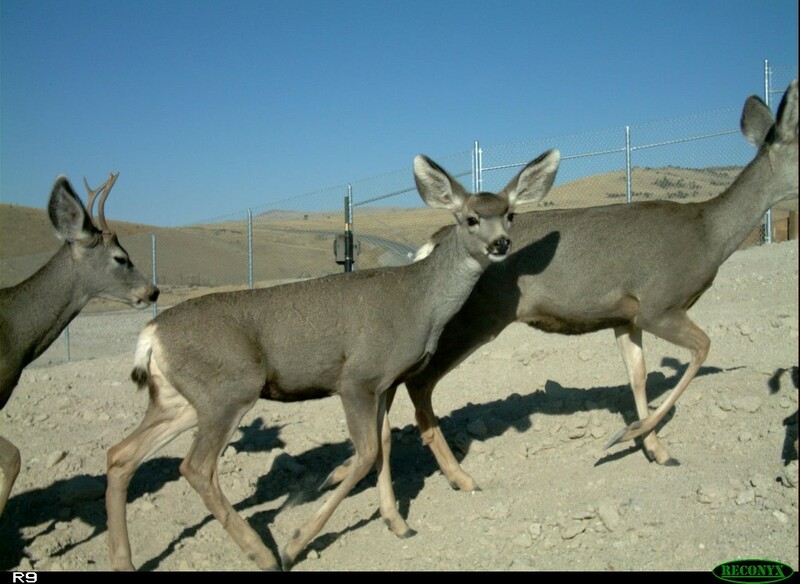 Fences line the highway to discourage deer from attempting to cross through traffic. Climate change, and wildlife’s response to climate change, is not a linear process. We can’t expect all species simply to move to colder climes, nor expect ecological communities to move as complete units, said Ryan and Rudnick. Species have independent capacities to adapt and move, decoupled from the ecological relationships of predator to prey, pollinator to flower, or grazer to ground cover. Our models, and management, must adapt to conditions changing in real time. Flexibility is not generally a virtue of government regulations. The timescale of legal decision-making is generally much shorter than we would want in order to provide communities, both ecological and anthropological, time to adjust. Photo credit: Tony Clevenger/WTI-Parks Canada. 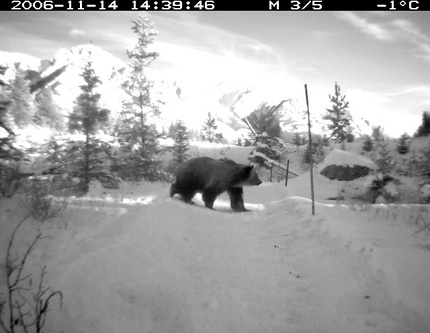 Caught in action by a motion-sensitive camera, a grizzly passes over the Trans-Canada highway on an overpass in Banff National Park. Corridors and connections are often in the spaces between preserves, the mixed use spaces occupied by human communities. Bridging barriers for wildlife means bridging the needs of the people living in that landscape. It means working with communities to find solutions that are practical, and possible, said the authors, not just from the perspective of science, but also residents, farmers, and industry. A first step is finding a common language. Ryan saids she doesn’t talk about ‘ecosystem services’ in rural Uganda. Those aren’t Rutooro words. “We ask, “Is the park beneficial to you?”” and locals might say, “It keeps the rain.” They perceive benefit from the park, but don’t describe it like a scientist. The same is true of English-speaking communities.